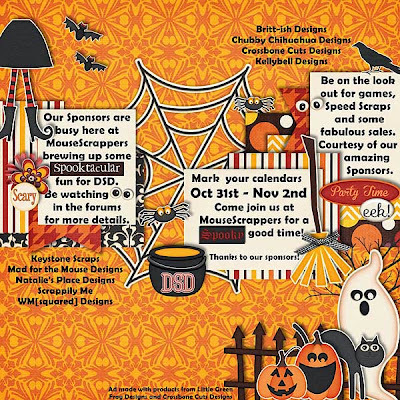 No tricks here .. only treats! 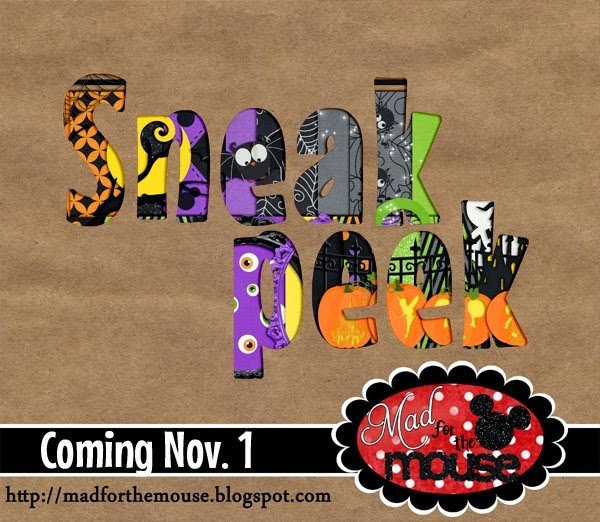 Be sure to go to Michelle's blog at Mad for the Mouse and sign up for her give away tomorrow. 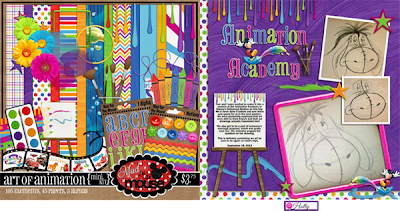 If you have her Halloween in the Kingdom kit then you will definitely want to grab this coordinating kit. So go over now and sign up!!! 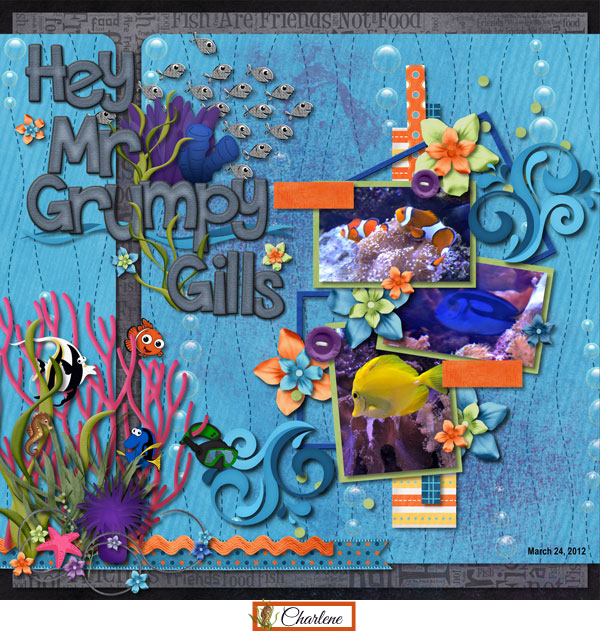 Michelle is hosting a Speed Scrap on Friday, November 1st, at 8PM Eastern ... come join the fun!!! You know you just read that in Dory's voice in your head! I applaud you, a true Disney fanatic!! 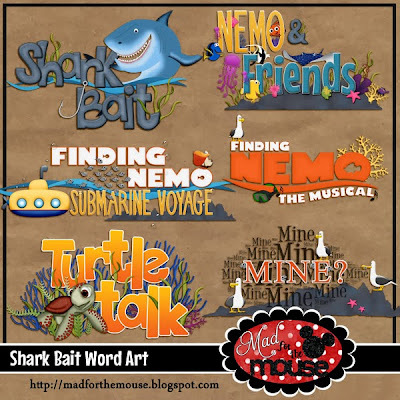 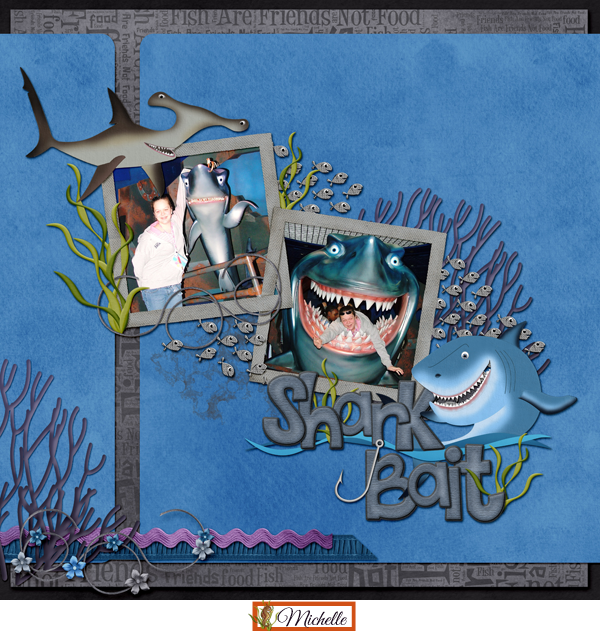 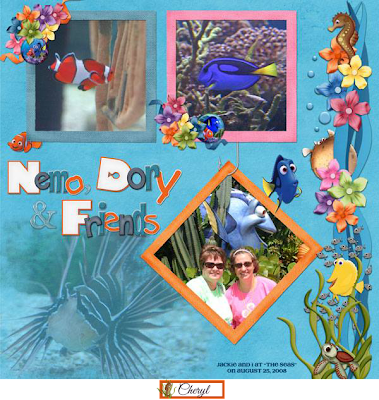 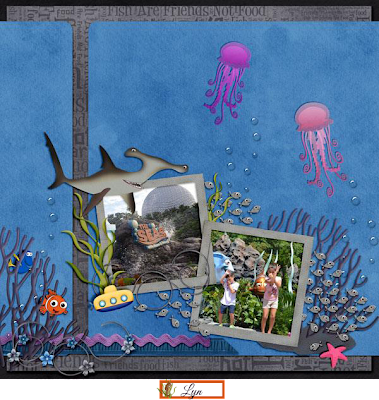 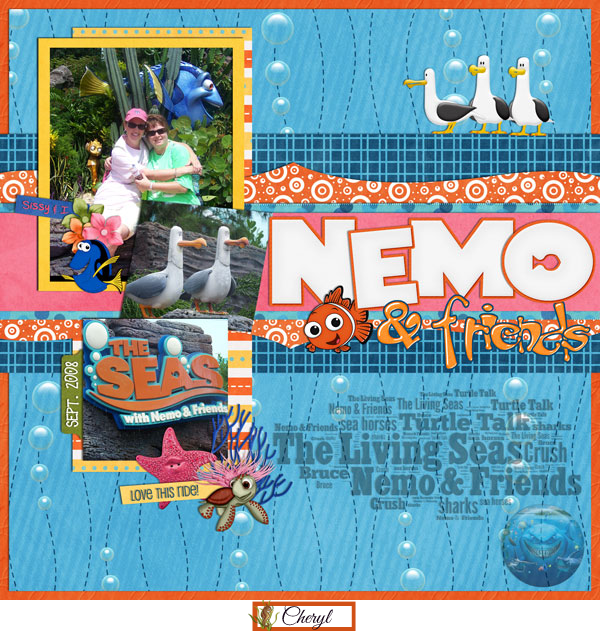 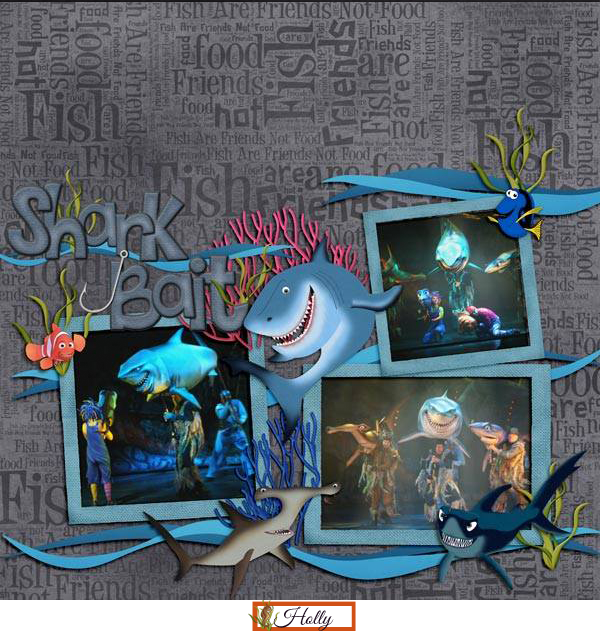 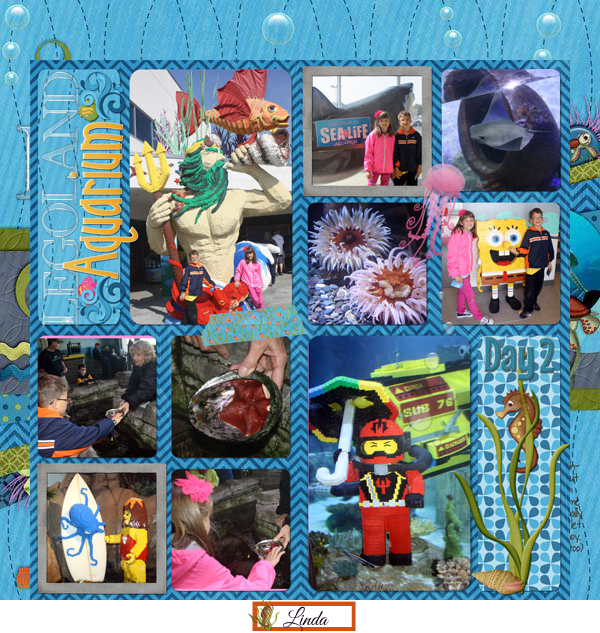 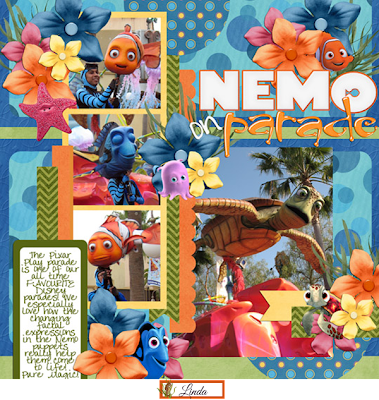 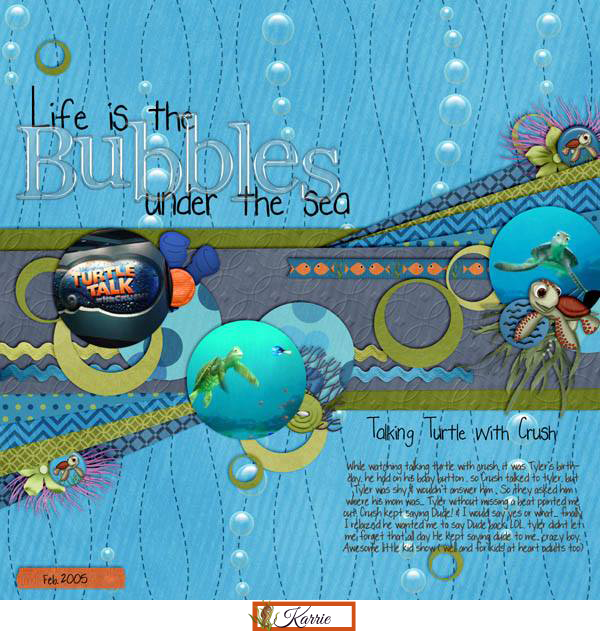 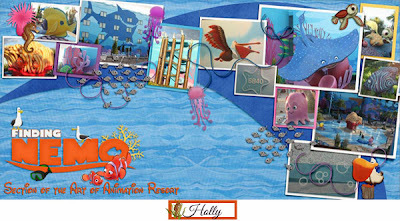 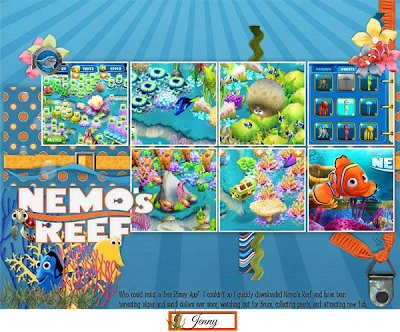 There were a lot of finding Nemo impersonations during the making of this newest kit themed for all things Nemo!! 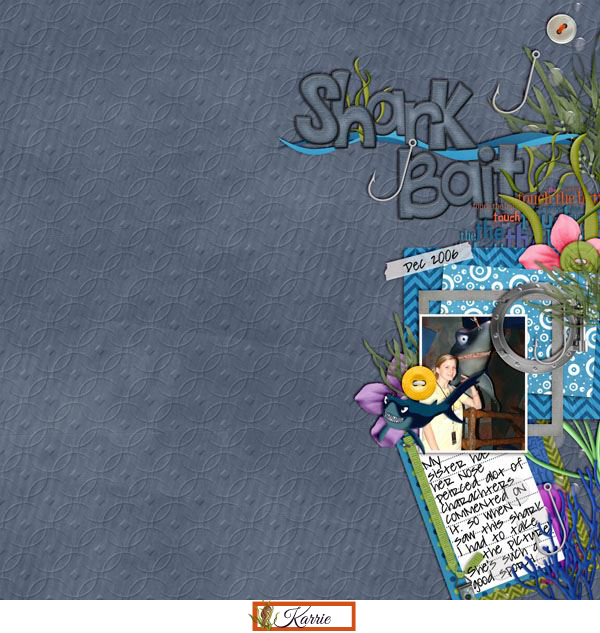 It will cover so much!! 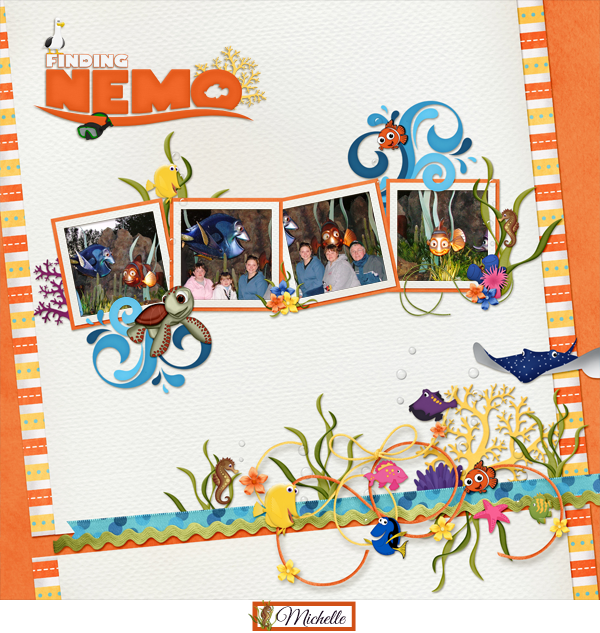 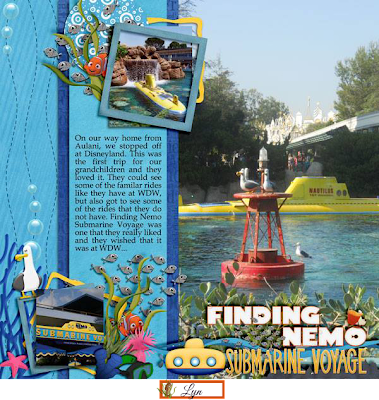 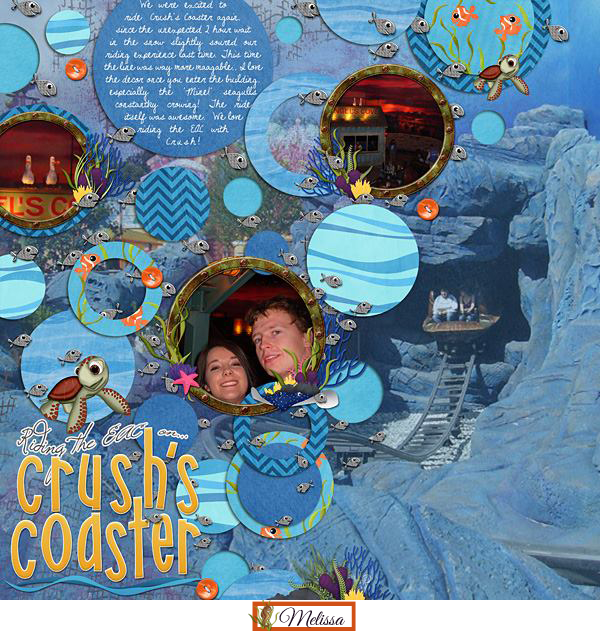 From the Seas with Nemo & Friends, to Turtle Talk, to the Coral Reef Restaurant, to Finding Nemo the Musical, Finding Nemo's Submarine Voyage, and even over seas at Disneyland Paris for Crush's Coaster!! 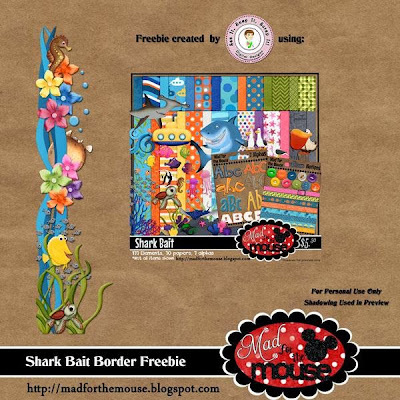 So take a look around and be sure to collect the freebies offered by my marvelous team!! 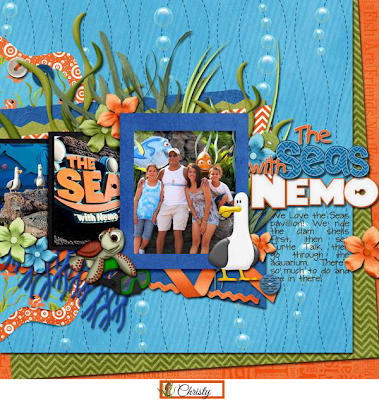 Are you setting some time aside the first weekend in November? will be hosting a few Events, and there will be giveaways on the Mad for Mouse Designs Facebook Page! 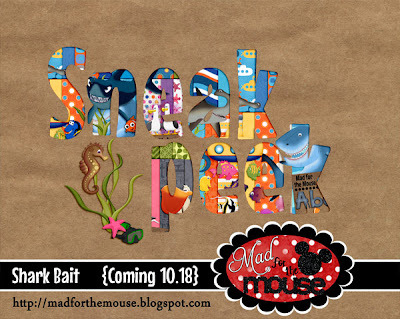 Make sure you have "liked" Mad for the Mouse! 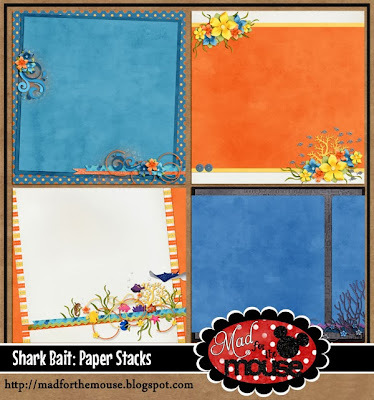 The girls have some great Freebies for you!! Make sure you stop by and see them!! Michelle has something for you and so does Linda! 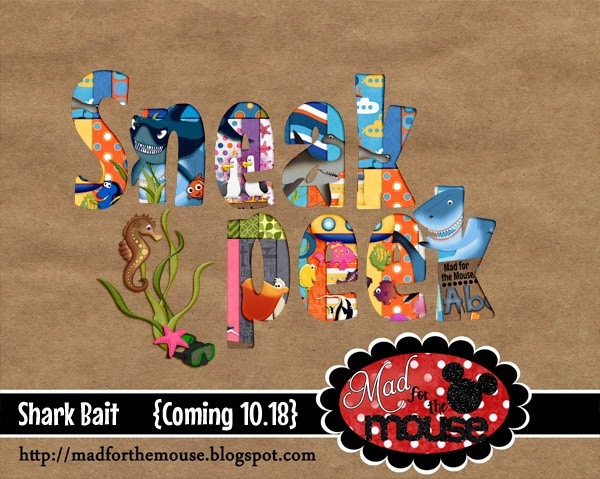 Mad for the Mouse is hosting both!! Holly and Jenny also have something for you that coordinates with the Art of Animation Kit!! 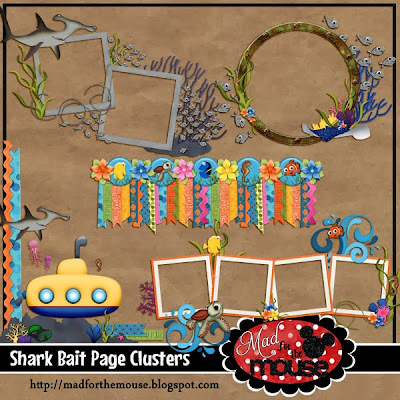 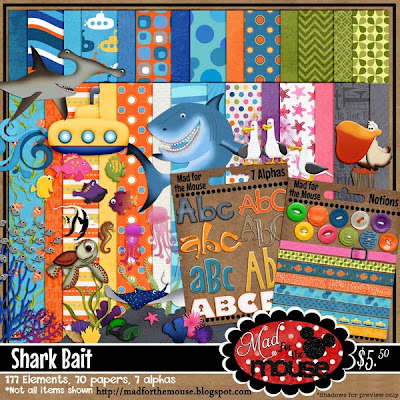 Be sure to come back to my blog on Friday, October 18th, to see some wonderful layouts with this fun kit. I'll be able to lead you to some cute freebies too!!! 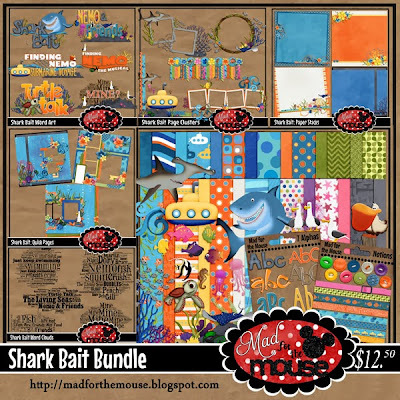 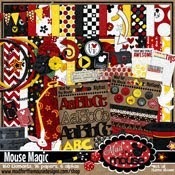 In the mean time, head over to the Mad for the Mouse blog and enter a drawing to win this new kit!